Debt relief options are limited when you're unable to resolve your debt problems by reducing expenses and saving money to pay down debt aggressively. Though the various types of debt relief options are few, yet you should consider each one in your effort to repay your bills. The legitimate options that enable you address a high debt load you can no longer afford are Debt settlement, Debt management, Bankruptcy. Deciding which of these options will meet your debt relief needs starts with understanding and gathering information. Which one will best suit your immediate debt problem and your future credit and financial goals? 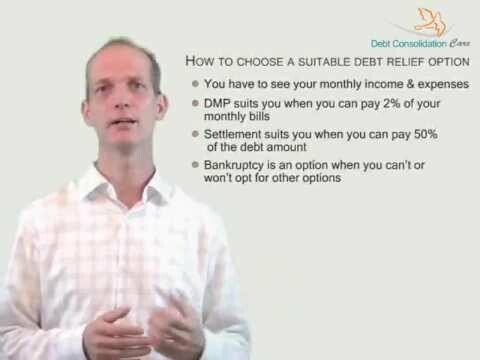 Watch the video to know how you can choose a debt relief option that fits you.